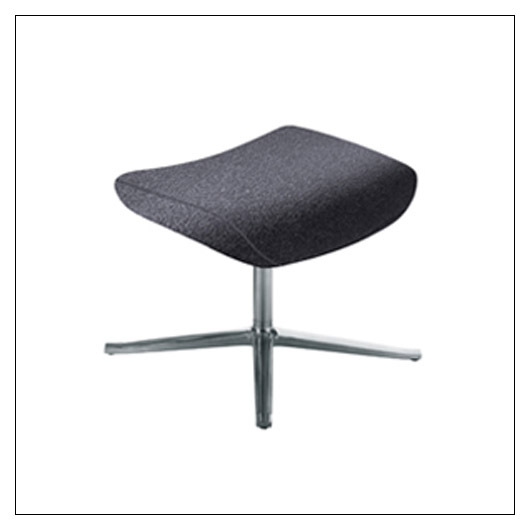 Coalesse Bob Lounge Ottoman (SCCOBOBOTT) at Pure Design / Seating / Workspace ::: Furniture for the Home, Office, Home Office, and More at Pure Design Online! Your Bob Lounge experience isn't complete until you've added the matching ottoman. Ottoman comes with plastic glides. Fabric and leathers will appear loose with comfort wrinkles when upholstered. Bob Lounge sold separately. This product is MADE TO ORDER and therefore CANNOT BE RETURNED. Please allow an additional 5 weeks to ship. This item can only be shipped to street addresses in the contiguous 48 United States.